The practice of science has always been integral to understanding ourselves and the world around us. 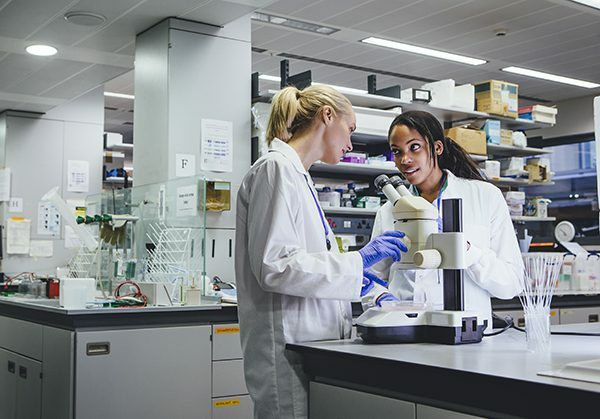 But students who are just beginning their scientific careers may find that the day-to-day working environment doesn’t always reflect science’s connection to the world as well as it should. Recognizing the dearth of minority students in scientific fields, Dustin B. Thoman (San Diego State University), Gregg A. Muragishi (Stanford University), and APS Fellow Jessi L. Smith (Montana State University) theorized that the socialization processes and context of faculty-led research labs could have an impact on students’ further participation in science, particularly for underrepresented minority students. Historically, the primary focus on increasing diversity in science has been on high school education and foundational science classes. While these experiences are crucial to fostering students’ initial interest in science, Thoman and colleagues argue that it is also critically important to evaluate how those interests develop over time as students engage in the practice of science in a research setting. The researchers aimed to investigate how social interactions in a faculty-led lab could affect students’ beliefs about science in general, the value of the lab’s science to the public, and their interest in pursuing a science career in the future. Over the course of 2 years, Thoman, Muragishi, and Smith collected data from 522 undergraduate research assistants in biomedical research laboratories, surveying them once about 4 to 6 weeks into the academic term and then again at the end of every academic term until the conclusion of the study. After analyzing the survey responses to determine the best model to fit the data, the researchers compared results for White, Asian, and Underrepresented Minority (URM) students over time. Overall, they found that the lab mates’ beliefs in the prosociality of their work were linked not only with a student’s own beliefs and values but also his or her subsequent scientific and career motivation, above and beyond the students’ initial beliefs. Importantly, this association was particularly strong for underrepresented minority students, which included African Americans, Native Americans, and Latin Americans. And the results for Asian students followed a similar trend although there was more variability in their data. The effects of lab mates’ views on the students’ future beliefs and aspirations for a career in science were not moderated by gender or social class, but the researchers explain that this may reflect their limited sample. Following from these results, the researchers suggest that the social interactions that underlie the day-to-day working environment in scientific research labs is important to consider when trying to prepare students for careers in science, particularly for minority students.